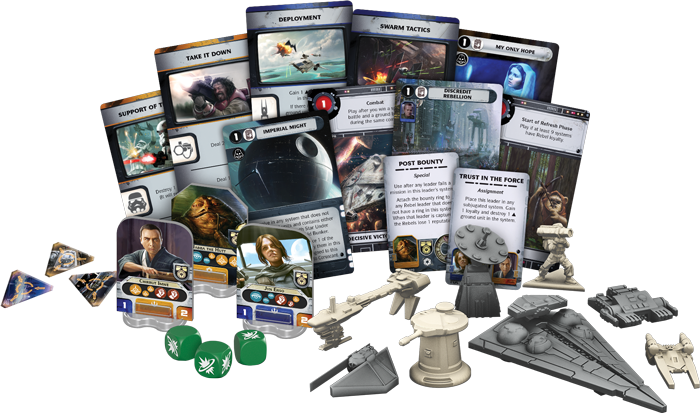 Fantasy Flight Games just announced the first expansion for its hugely popular galactic conquest board game Star Wars Rebellion. Rise of the Empire introduces new heroes, villains, starships, troopers, and vehicles from Rogue One, Star Wars: Rebels, A New Hope, The Empire Strikes Back, and Return of the Jedi. This expansion includes 8 new leaders, 36 plastic miniatures, five target markers, two attachment rings, three new dice, and over one hundred new cards.